Full Vehicle Wrap - we can wrap nearly 100% of your vehicle. This provides the most visual punch! Use your wrap to grab someones attention from near or far. Combination of Graphics and Vinyl Lettering - create a vivid vehicle advertisement with digitally printed graphics and cut vinyl to give customers a reason to contact you. We can help you create the custom design you’ve always wanted (design fees may apply). We work WITH our customers to create the most effective advertising for them, we want your wrap to create as many leads for your business as possible. Our professional staff can create the look you have been seeking! Have your own design already? Provide us the artwork and we’ll create the wrap you worked so hard to create. Have your own designer? 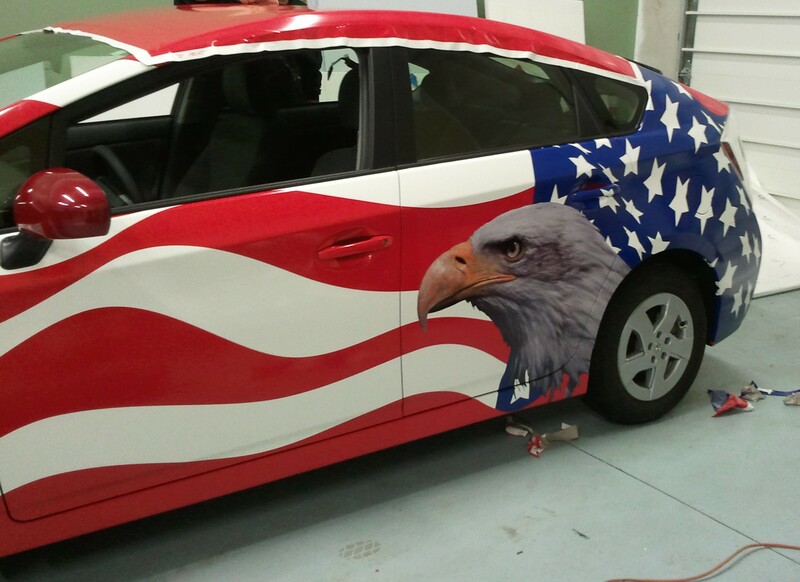 We can consult with your designer so they are able to create the best possible wrap for your vehicle. We can provide some tips and tricks to help the best result is achieved. Inside our climate controlled facility our professionals will prepare your vehicle for wrap installation. Once your vehicle wrap has been prepared our professional installation team will apply the wrap and graphics to your satisfaction. Click here to see vehicle wrap care instructions.